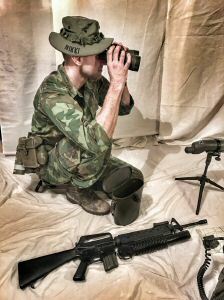 with an impromptu photo shoot to see how it looked. 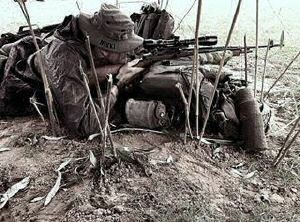 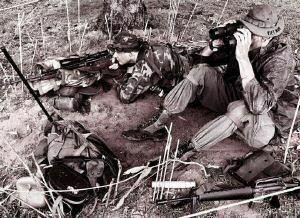 complete a sniper team report for the Rolling Thunder page. 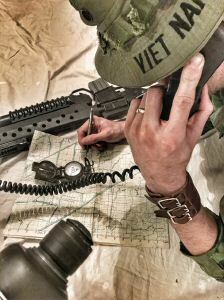 when deployed in Vietnam . 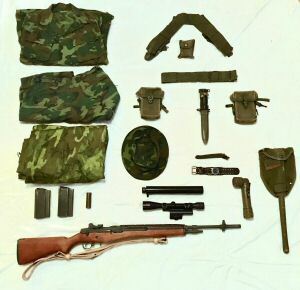 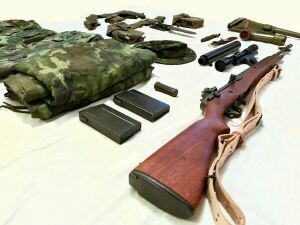 Description of the gear of the Americal 23d Infantry Division in 1971.
of which our impressions where based upon. 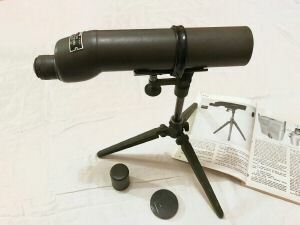 and big ticket ones like the Starlight scope too but these will be sourced. 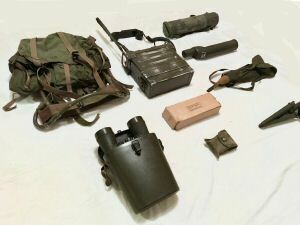 This is the sniper team equipment layout and would have been carried and used by the observer. 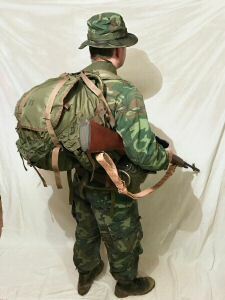 rucksack (the sniper would also carry his own). 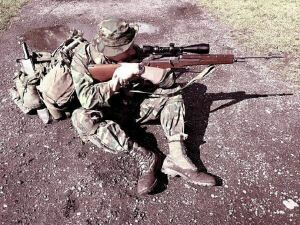 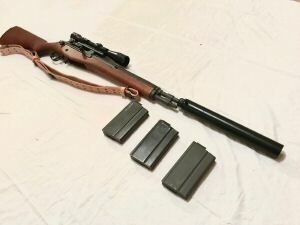 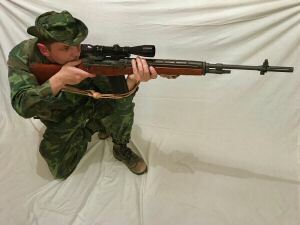 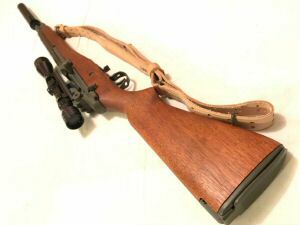 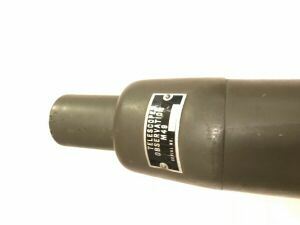 The rifle has had its flash hider removed so that a Sionics M14SS-1 noise suppressor can be fitted. 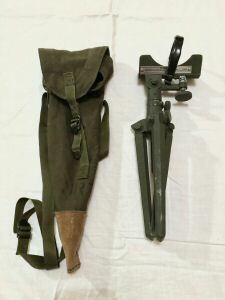 The M15 tripod for the M49 scope with bag. 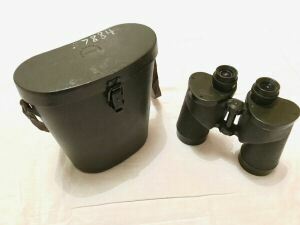 M17(a1) binoculars and plastic case. 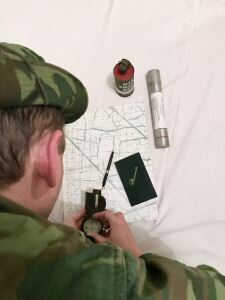 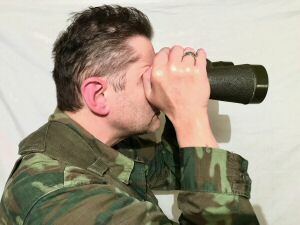 The correct way to hold the binoculars to prevent the ingress of light when observing..
Holding and sighting the compass. 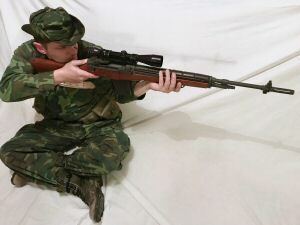 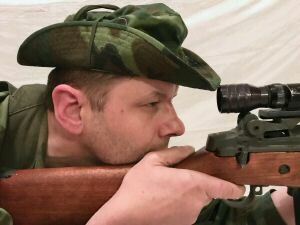 The correct eye relief when using the mounted telescopic sight. 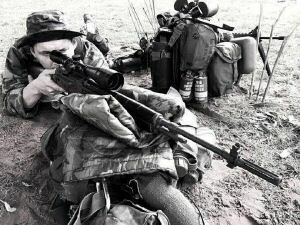 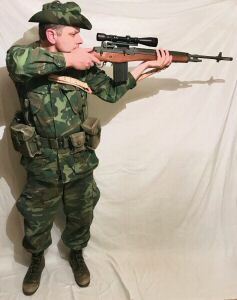 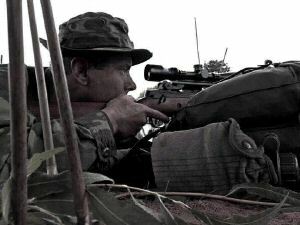 The teams observer himself a trained sniper. 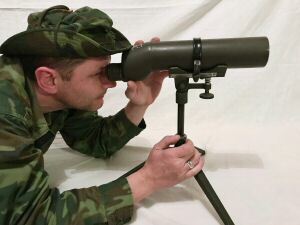 Using the telescope, observation, M49. 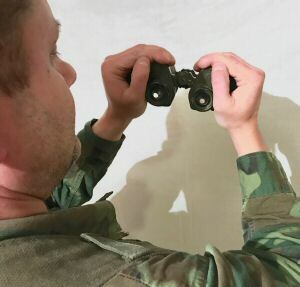 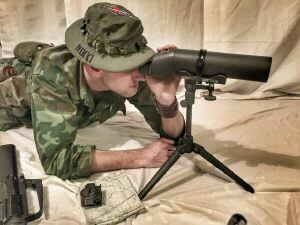 The observer, seen here using the M17A1 binoculars. 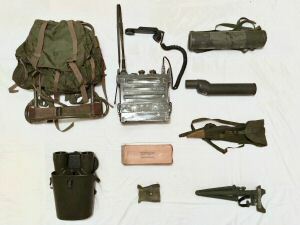 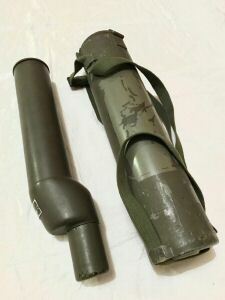 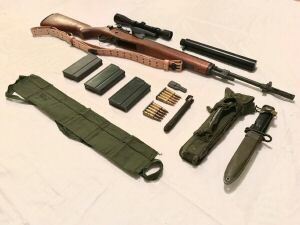 Which are kept in their plastic case, carrying, M62A1 with nylon strap. 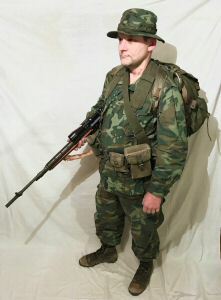 Note the combined use of ERDL fatigues and OG boonie hat. 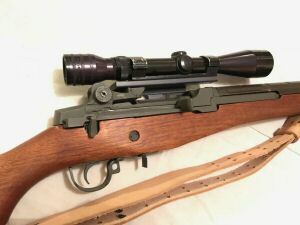 ERDL was not always issued in full complete sets. 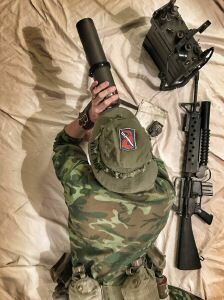 and bring it to life for the public. 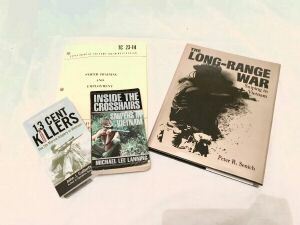 Prime reference material because the internet only gets you so far. 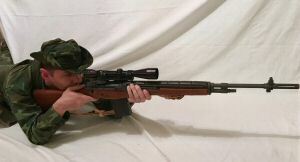 Any Photos should not be used without prior agreement.